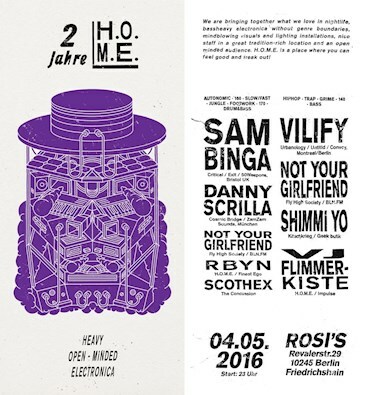 Rosi's 04.05.: 2 Years H.O.M.E. This event "2 Years H.O.M.E." @ Rosi's has already ended on 05/04/2016.